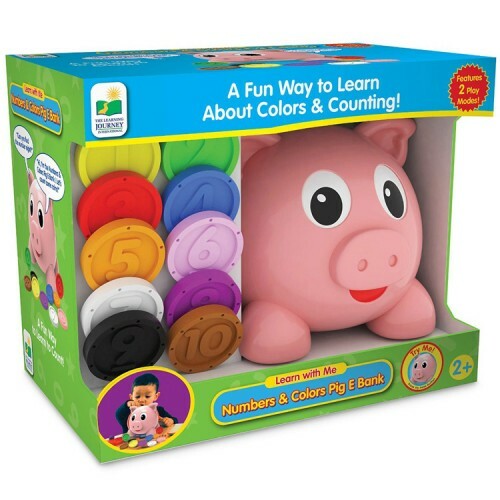 Toddlers or preschoolers will love playing with this adorable Pig E Bank and have color learning and counting fun! Let's have some color learning and counting fun! 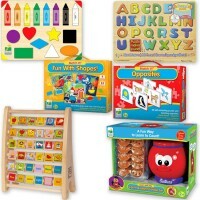 Numbers & Colors Pig E Bank Electronic Learning Toy is a new adorable addition to the Learning Journey's Learn with Me toy line. 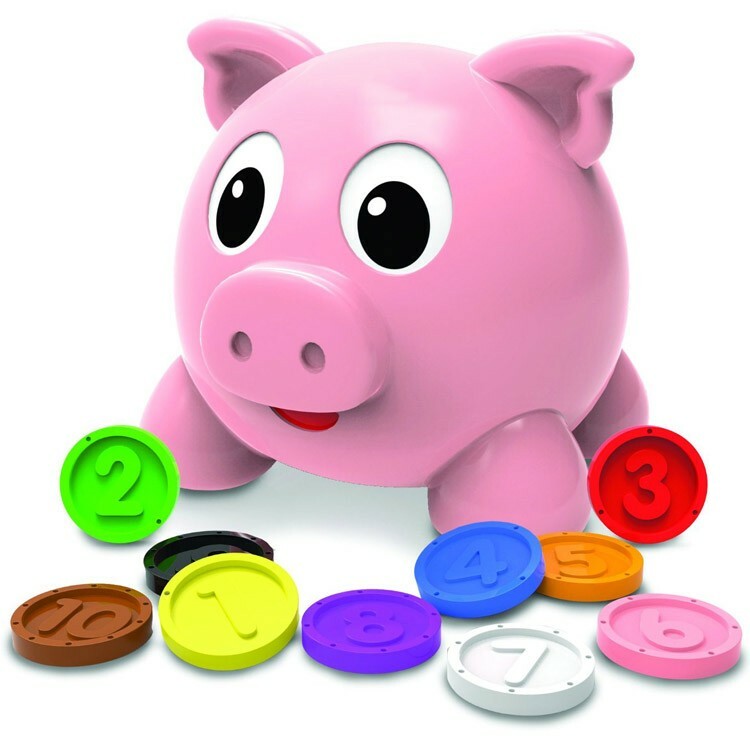 This toddler and preschool kids interactive learning toy includes a talking pig shaped sorter and 10 chunky coins. 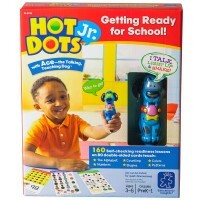 The Pig E Bank talking toy has 2 play modes: Learning and Find It! Each coin shape has its own color and shows a bold number 1-10. Let's find a green color! Let's find the number 5. 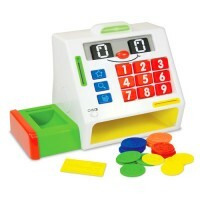 The Numbers & Colors Pig E Bank Electronic Learning Toy will tell your child what to do. 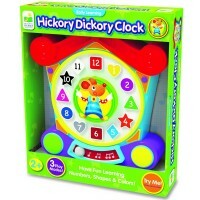 Or the interactive pig toy will name the colors or numbers teaching your child early math skills. Children will love placing the shapes in the piggy container and hearing the tasks, cheerful comments, or silly phrases that this tot piggy bank says. 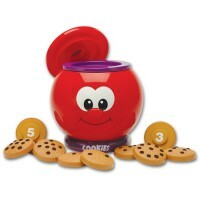 All colorful coins store neatly inside the electronic toy. 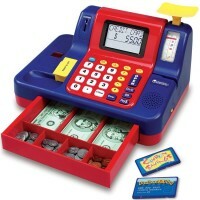 The toddler electronic money bank requires 2 AA batteries (included). 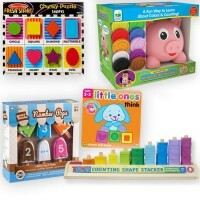 Dimensions of package 5.5" x 5" x 6.5"
Write your own review of Numbers & Colors Pig E Bank Electronic Learning Toy. 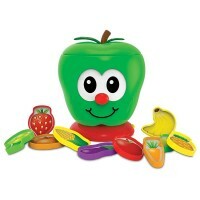 Rating: 5 not only electronic fun by Robert, MO My kids use the plastic coins from this toy for their pretend store game. The little one likes to hear what the pig answers. 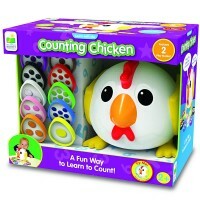 Rating: 5 counting toy by Charlene, ME perfect counting toy for my kids. thank you. 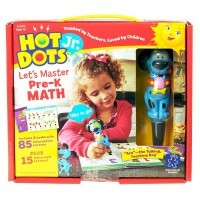 Rating: 5 Good to learn numbers by Ray, AK Learning numbers and counting is a adventure, these help.